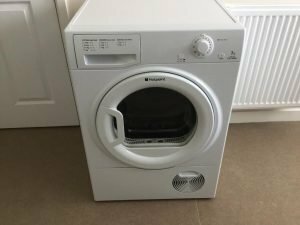 House Clearance Service In Larkhall South Lanarkshire Symington Tarbrax Thankerton. I am looking to have a three bedroom house cleared in the Larkhall – South Lanarkshire area, we have been clearing the house for weeks and have moved everything that needs cleared to the ground floor, there is still quite a lot to be cleared. Attached to the house is a double garage, in it is a large work bench, three stepladders, a chest freezer and many tools. To the back of the house there is a small tool shed it only contains wood. Please let me know the best date, possibly in three weeks time. 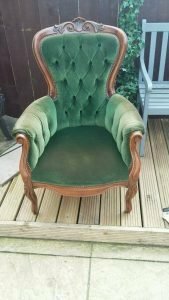 A carved solid oak reproduction armchair, upholstered in green velvet with button back detailing. 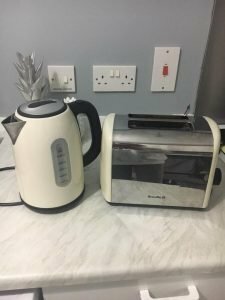 A cream and silver Breville two slice toaster, together with the matching kettle. 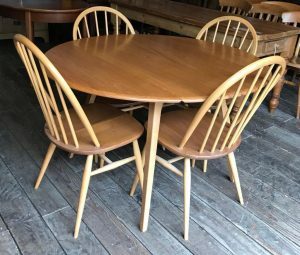 A vintage Ercol circular dining table, together with four matching curved back dining chairs. 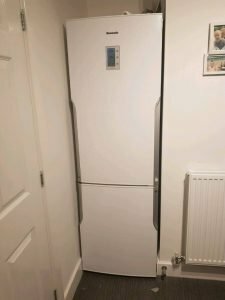 A white and grey Panasonic digital two door fridge freezer. 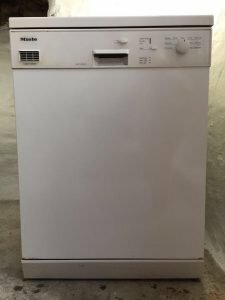 A white Miele full size under counter dishwasher. 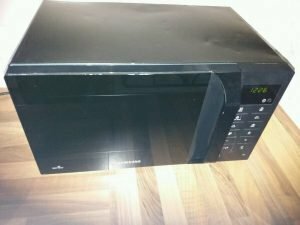 A black Samsung Solo digital microwave oven. 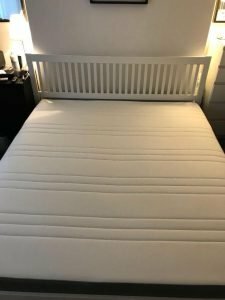 A white solid wood double bed frame, together with a white double mattress. 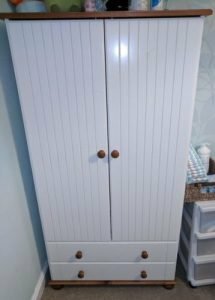 A white solid pine children’s nursery wardrobe on ball feet, having two doors above two drawers. 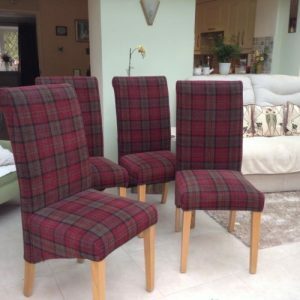 A set of four high back dining chairs on pine legs, upholstered in tartan patterned fabric. 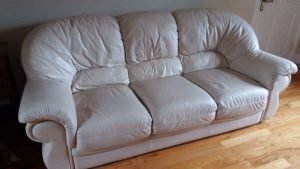 A three seater high back sofa, upholstered in cream faux leather. 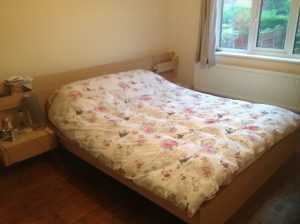 A solid oak Ikea double bed frame with large headboard, together with a double mattress. 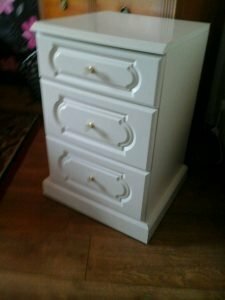 A three drawer white solid wood bedside chest of drawers. 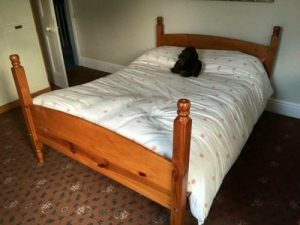 A solid pine four poster double bed frame, together with a double mattress. 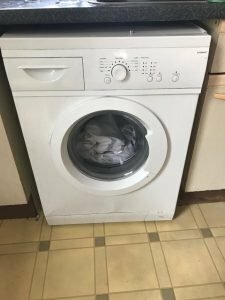 A white Currys Essentials 6kg under counter washing machine. 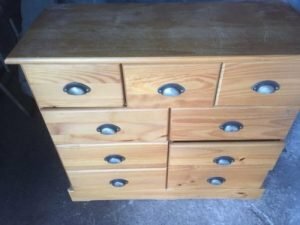 A solid pine chest of drawers, having three small over six large drawers, with chrome handles.